The life of a bacterium can be a dangerous and treacherous one. 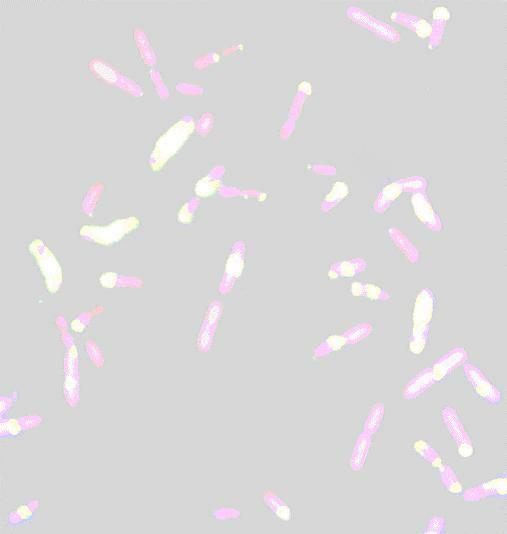 Simple bacteria, such as the soil-based Bacillus subtilis that we study in our lab, must be able to constantly adapt to their environment in order to protect themselves from toxins, unfavorable environments, and even other organisms. At the same time, the bacteria must sense and propel themselves towards areas of high nutrient concentrations. Organisms in the bacterial and archaeal kingdoms have evolved a system that has enabled them to deal with the environmental cues and propel themselves towards more favorable conditions and away from unfavorable environments. This process is called chemotaxis. 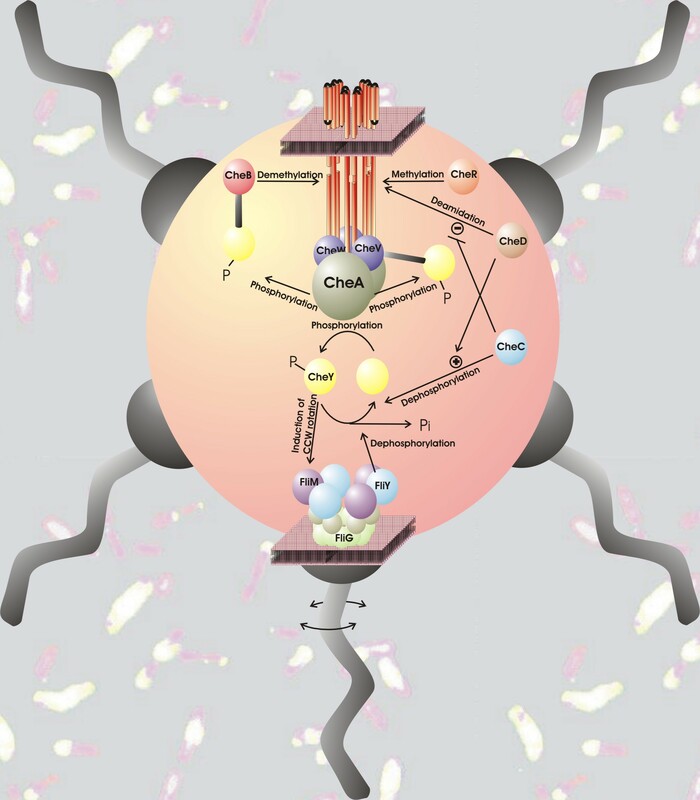 In the Ordal lab, we are interested in the biochemical pathways involved in B. subtilis chemotaxis, starting with the sensing of the environmental signal by the transmembrane receptors, following the signal through reversible phosphorylation of various cytoplasmic chemotaxis proteins, and terminating in the rotation of the flagella. A chemotaxis model is shown below to give some idea of the complexity of the process. More details can be found on our Research page.